Quote below is from Sarah Britten’s South African Weekly Mail blog, Gondwanaland. She is discussing Australia and Starbucks. The news last week that Starbucks was to close 61 of its Australian stores with immediate effect — leaving just 23 stores in Melbourne, Sydney and Brisbane — was greeted with considerable interest beyond the business pages. The American interloper taught a lesson about what it takes to succeed in the land down under: this was more than just a business story, it was about Australian resistance to global hegemony. What is striking about the Starbucks story is how it reveals the ways in which Australia’s post-World War II wave of immigration has affected its sense of national self. 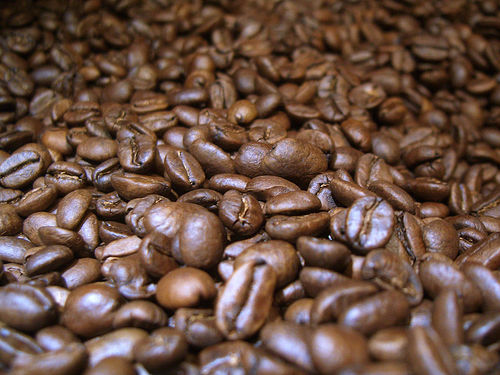 Australians didn’t take to Starbucks, the reasoning goes, because they already know more about coffee – real coffee — than any American could ever teach them. Similar things happen in HR software too. Biggish “global” players sometimes come into markets like Australia thinking they are the Bees’ Knees, to quote Kath and Kim. Australians speak English, how hard could it be? The global player soon finds out that there are local vendors offering neat technology but with the more valuable feature of local market understanding. In the long run, global vendors only succeed if can help meet local needs. Offering a system in English simply isn’t enough. A couple of years ago Sig, Dean and I rode up Mont Ventoux in France. It was great fun, and we also raised some money for a noble cause, Warchild. Our friends from around the world were remarkably generous, donating a tidy sum. Photo from the fantastic cycling blog of Will Davies. flickr stream here. This year,in August, I’m being even more of an idiot. 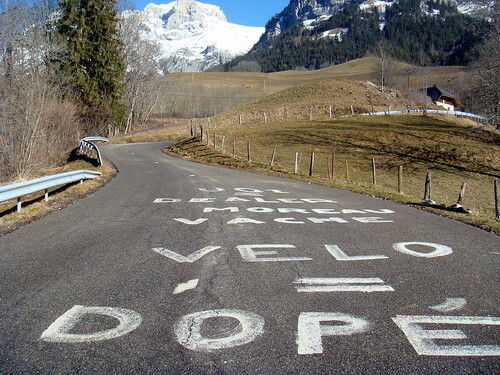 I’m doing a week long Alpine ride with a bunch of cycling mates, all of whom are leaner and meaner than me. 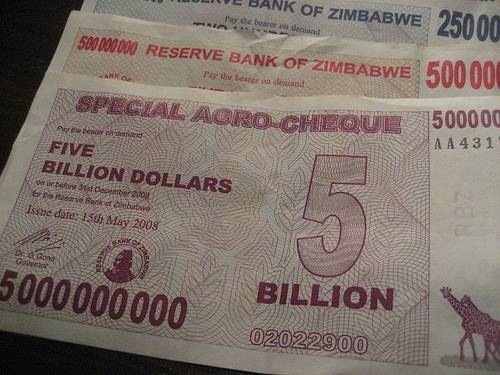 This time the money will go to the Zimbabwe Benefit Foundation. It is a very reputable charity, and has Desmond Tutu as its patron. Violent and sustained attacks against civilian voters in Zimbabwe are leaving behind hundreds of mutilated and injured men, women and children. Many of them have also had their homes burned and their possessions destroyed. ZBF has launched an emergency response to support victims with medical supplies, blankets, food packs and basic building materials throughout the country. We appeal for your help now. I discovered the charity via the Sokwanele blog, which provides brilliant but harrowing coverage of the goings on in Zimbabwe. The donations page over on the justgiving.com site, here. It would be great if you could head on over there with your credit card handy. Here’s hoping that by the time I’m back from the Alps, Bob is no longer in charge. I’ll post a cyclogeek post soon, with the route, altitudes and so on. 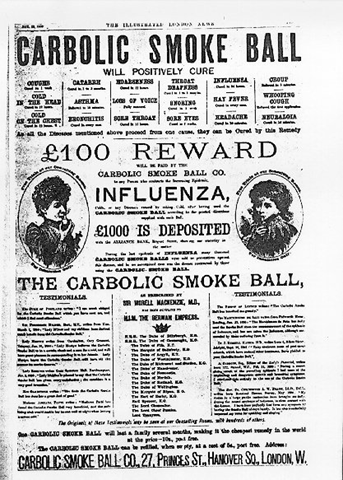 Carbolic Smokeballs and software salesmen. I’m continuing the law related ramblings, but some of you will be pleased to know I’ll rest the privacy stuff for a while. Vinnie Mirchandani is normally a vociferous supporter of all things free-market, and the arch enemy of compliance. His dislike of the Sarbanes-Oxley Act is legendary. I was surprised to read his call for stronger software industry regulation. Please read his post in full, then pop back here. I won’t go into a discussion here on whether all regulations he suggests make sense or not, I’d like to pick up on them another day. In part, I agree with Vinnie. It amazes me how little direct regulation our industry has. Toys, insurance, cars, hairdriers and maps all need testing before you can buy them, but any old idiot can set up a software company and try and sell stuff. There is stricter certification for wiring a plug or installing toilet roll holders for a living than there is for coding software. One of my earliest posts looks at this. As the digital world becomes more and more vital to our personalities, our jobs, friendships, thoughts, politics and beliefs should the web and the vast databases of information about us be determined solely by short term shareholder value? As software does more and more important stuff on our behalf, it is likely that it will face greater regulation. This may be no bad thing, but let’s tread cautiously. Regulations, like technology, often bump into the law of unintended consequences. This can be a good thing in software, as may lead to Accidental Awesomeness. In law though, it tends to hurt folks it was supposed to protect, or protect things that ought to be protected. This was amplified by Nitin’s comment about outlandish sales claims. Software salespeople don’t live in a vacuum, and there is very little new under the sun when it comes to contract law, advertising and sales promises. To assert that software salespeople and marketeers are somehow more devious than their peers is a tad insulting to the ‘ingenuity’ and avariciousness of the generations of sales people that have gone before them. Let’s head back to Victorian England. .
Contract – Offer by Advertisement – Performance of Condition in Advertisement – Notification of Acceptance of Offer – Wager – Insurance – 8 9 Vict. c. 109 – 14 Geo. 3, c. 48, s. 2. Held, affirming the decision of Hawkins, J., that the above facts established a contract by the defendants to pay the plaintiff 100 in the event which had happened; that such contract was neither a contract by way of wagering within 8 9 Vict. c. 109, nor a policy within 14 Geo. 3, c. 48, s. 2; and that the plaintiff was entitled to recover. One supposes that this case could be seen as an early example of vapourware. The law to hold “hold vendors accountable” or “systems integrators to be truthful” has been in contract law well before even the venerable Geeklawyer started out in practice. In my presales days one of my best demo sessions was when the prospect videoed the complete presentation and workshop. The law has been clever enough to have a proper term for outlandish sales and marketing bullsh*t. It calls it “mere puffery.” The presence of video camera does tend to reduce the desire to engage in such puffery though. Contract law and supporting legislation has developed over literally thousands of years, and courts have been largely successful at picking up unfairness in whatever happens to being bought or sold. In UK law for instance, the practice of limited liability in IT contracts was struck down in the St Alban’s DC v ICL case. They were able to claim damages for the cost of incorrectly calculated taxes, which were far higher than the costs of the solution. Harry Small, one of the UK’s leading computer lawyers, wrote up the facts of the case here. I’m not a free-market zealot, but contract law is one of humankind’s most impressive creations. Author Thomas OtterPosted on January 17, 2008 Categories enterprise irregulars, IT Related, Law, softwareTags contract, Law, regulation, software9 Comments on Carbolic Smokeballs and software salesmen. I met Jason Busch, fellow Enterprise Irregular, earlier this year at Sapphire. He knows the procurement space really well, and has a blog called spend matters, to which I subscribe. I was saddened to read that he basically wrote off the African continent from a sourcing perspective. This is stunningly patronising, and factually wrong. In April 2005, General Motors awarded its South African arm a contract worth US$3-billion to manufacture a new global version of its Hummer sports utility vehicle – the H3 – for export to markets in Europe, Asia Pacific, the Middle East and Africa. In 2004, Volkswagen SA announced a R25-billion export programme that will see the company exporting about 2 300 of its new Golf 5 cars each month through 2009, mostly to Japan and Australia, but also to New Zealand, Brunei, Singapore, Sri Lanka, Hong Kong, Indonesia and Malaysia. DaimlerChrysler confirmed that the new Mercedes-Benz C-Class would be manufactured in SA from 2007. The company plans to almost double production at its East London plant to roll out up to 80 000 units a year, a large portion of which will be exported. More here. and recently here. A shipment of Mercedes-Benz C-Class cars, built in South Africa by DaimlerChrysler South Africa, has headed off for the USA. The first shipment on 8 November consisted of close on 400 left-hand drive units destined for Baltimore, Jacksonville and Long Beach. It is estimated that around 225 000 cars will be shipped to this important market from the East London manufacturing plant as part of its seven-year contract to produce the model series. 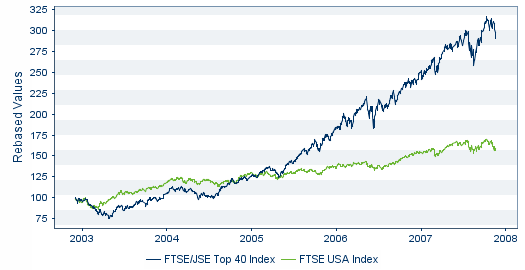 Have a look at the Johannesburg stock exchange performance vs that of the US. This is not just driven by tourist dollars, but by rapidly growing industrial and service sectors. If you are really interested in what is going on in Africa, check out the recent TED sessions. This one on Aids, for instance. Parts of Africa are booming, because of investment, local entrepreneurship and more stable government. South Africa is not the only economy in Africa doing well, take Botswana…. Botswana has maintained one of the world’s highest economic growth rates since independence in 1966, though growth slowed to 4.7% in 2006. Through fiscal discipline and sound management, Botswana has transformed itself from one of the poorest countries in the world to a middle-income country with a per capita GDP of more than $11,000 in 2006. The world’s largest Titanium mine is due to come online in Mozambique, a country until recently ravaged by war. The mozal Aluminium refinery in Mozambique is one of the lowest cost producers in the world. Expect to see more refining moving to Africa. Corruption in Africa is not just an African challenge. You will find that many of those doing the bribing are from developed countries. And actually, South Africa ranks better than both India and China in the bribery index. The US is not corruption free either. Gauteng is already playing a leading role in driving new growth through investment into Gauteng, and assisting South Africa to position itself as a preferred destination because of our high voice quality, relative accent neutrality, unscripted conversational ability, our warm and friendly approach, our cultural affinity and time zone compatibility with the UK and Western Europe. Recent research on UK call centres shows that 90% of calls into the UK did not question where the calls were coming from, and of the 10% who asked, over 70% reacted positively on hearing that the call was from South Africa. This is key to our competitive positioning in call centres. South Africa hopes to be rated among the top five outsource destinations for call centres globally within the next 10 years. In view of this we are aiming to create 60% of the 100 000 jobs set as a target by the dti. This is 60 000 jobs by the end of 2009, approximately 25% direct (agents on phones and email response), and 75% indirect (team leaders, supervisors, managers in a call centre operation plus catering, cleaning, transport and related services). The growth has been phenomenal and is set to continue. The dti’s BPO&O Government Assistance and Support (GAS) programme, launched in March 2007, has given much-needed impetus and ammunition to attract the large international companies located, for example, in the UK, to set their sights on South Africa. As a result, there has been unprecedented international interest from companies in the UK, and even the US, and there is serious investment potential in the pipeline. Former parts of the French colonial empire are developing their call centre businesses too. Between 2001 and 2004, 55 French language call centres have been set up in Morocco, employing 6,500 people and generating total revenue of euro 85 million (US$105 million). In the face of intensified global competition, French companies have sought ways of cutting costs by off-shoring production and outsourcing some business processes, especially client support and promotion. This is where a French-speaking former colony, like Senegal, or protectorates, like Morocco and Tunisia, come in. Some 10,000 of France’s 250,000 call center jobs have been outsourced to these Francophone countries. This story from Senegal is worth a look. Or ACS in Ghana. Or Rising Data, also in Ghana, KenCall in Kenya. These are small beginnings, sure, but Africa is not all broken water pumps and devastation. That Africa will not take over China and India anytime soon in all areas of sourcing is obvious, but it is not the basket case that Jason makes it out to be. Author Thomas OtterPosted on November 30, 2007 Categories enterprise irregulars8 Comments on Dismissing a whole continent? Who exactly are you calling a laggard? In recent post (s) on ZDNET, amongst other things, Dennis Howlett has another go at SAP for being too conservative, brittle, wedded to the past, and so on. I disagree with him, but he is entitled to his own opinions. I might be mellowing; but If I commented on everything on the ZDNET blogs written about SAP and ERP that I disagree with, I wouldn’t get any day job done, talk to customers, or see my family. …It may satisfy in the short term and absolutely plays to the laggard businesses to which SAP must be selling. Made me fume. Calling our customers laggards is low, shallow and simply plain wrong. It is also downright rude. Customers trust us to help run their businesses. They don’t want us to experiment with their invoicing, supply chains, customer data, core banking systems and inventory systems. They don’t want us to jump from fad to fad. If we let something new loose on 41,000 customers it had better work. This is a huge responsibility. To knock engineering is to fundamentally fail to understand the business that we are in. Our customers demand consistency, reliability and innovation. Learning from the best companies in the world is a serious competitive advantage, it is also damn hard. Sometimes we get it wrong. When we ship product, it isn’t an experiment. Perpetual beta is not a good model for payroll or availibility to promise. Businesses stop working when this stuff fails, as is often and rightly pointed out. We need to balance this operational reality with the need to innovate for the future. This is what Dan Farber missed when he talked to Denis Browne about the imagineering team. With a big chunk of the world’s economy running SAP software, healthy scepticism about this weeks’s next great thing exactly what is required. The insight to spot the real innovation in a sea of neat ideas and hyped up concepts and mobilising it in a SAP relevant context is what Denis Browne and his team does profoundly well. Author Thomas OtterPosted on August 30, 2007 Categories enterprise irregulars, SAP14 Comments on Who exactly are you calling a laggard? opinions and evidence. The Trouble With Enterprise Software. I had a great two weeks away from all things online, so I’m jumping into this debate rather late. Part of my sporadic academic work of late has involved re-reading quite a lot of impenetrable stuff about the limits of empirical research in social sciences. Karl Popper etc. Do not fear, I will not attempt to force them on you here. In fact, I’m going to ask for the opposite here right now, I want a big solid pasta plate full of empirical research. The blogosphere is full of folks dashing off opinions. Some are very erudite, others not. 99% of the blogs I read are opinions. That’s cool, there is nothing wrong with an opinion. I have a whole archive of them here on this very blog. It is just that an opinion, is well, just an opinion. Cynthia Rettig recently published a short piece in the SMR called The Trouble with Enterprise Software Part of the piece is a rehash of ERP is complex, and therefore doomed argument. It is like the stuff Bobby Cameron did about SAP in the mid 1990s. The article also links to research about how CEO’s view CIOs. (similar results to how they view other C-level execs, I thought), and some commentary on large system complexity. It was strung together neatly enough, but it wasn’t based on any real research, at least in a recent enterprise software context. At present, however, corporations see in software’s seductive invisibility and seemingly open-ended flexibility a never-ending frontier of promise, where hope triumphs over reality and the search for the next new thing trumps addressing difficult existing problems. Is tantamount to calling corporations stupid. Very few are, either that or us vendors have a conspiracy going that would defeat even Jason Bourne. Some of my fellow enterprise software bloggers jumped to praise and expand on the article ERP is in a mess, and a donkey so they say. Sensibly, Andrew McAfee points to some peer reviewed empirical research to counter this doomsday view of enterprise software. The sober and understated language of this paper’s abstract contains a vital insight for people who question the overall value delivered to companies by their information technologies: if IT were not delivering value, rational decision makers would not keep investing in it. Rettig’s argument falls into a long line of pessimistic writing about the value of corporate IT. Much of this writing takes the implicit, and at times explicit, view that the executives who make technology decisions are dupes, perennially falling for a “triumphant vision” of software. These executives are presumably swayed by vendors’ sales pitches and the consistent message from IT’s ‘helper industries’—an ecosystem of analysts, journalists, consultants, and (yes) academics—that everything’s different now, so investments must be made. I wonder why the much enterprise blogosphere has largely ignored one of the most significant empirical research projects on the link between IT and Productivity, yet hypes up a neat little polemic that offers nothing new? Perhaps because the empirical evidence jarrs with those dearly held opinions? After all, where is the techmeme spike for the post “SAP and Oracle worked fine in 10,000’s of business again today”? Odd that. I’m out ‘there’, and McAfee’s post describes exactly the ‘reality’ of much of my day job. The other week I was talking to a bank that is merging yet another take over and a huge utility dealing with deregulation. I spent most of a day recently with a very large chemical company that had gone from 47 core HR systems to one. The chap who normally sits opposite me is closely involved with a project at the largest food company in the world. Next week I’m at a leading high tech company helping work out what bits to run on the ERP, and what bits to run on niche applications, building a joint roadmap to reduce integration complexity. No, it is not all triumphant vision, but this stuff works. 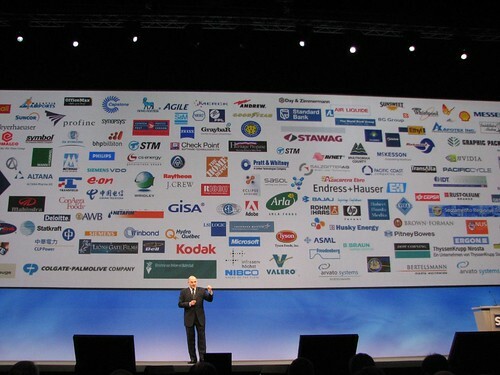 What all these companies have in common is that they are simplifying their businesses with an ERP system. The core ERP business is healthier than I’ve seen it since the late 1990’s. If you ask P&G about how they absorb takeovers, their ERP system is a big part of this success. Or what the Nestle CEO says about the globe project, linking it to Nestle’s impressive business results. …we’re fully benefiting from Globe, which now covers about 90 per cent of sales. That allows much better management of working capital and trade spend. But then, I’m just swopping anecdote for anecdote. by moving to a single ERP system for finance and at the same time implementing consistent data and technology standards, companies can cut the cost of finance operations by 23 percent, according to Hackett’s Book of Numbers™ Research. But companies that take either of these approaches independently may see little to no savings, or even a slight increase in finance operations costs, Hackett found. World-class finance organizations rely on both of these approaches, which help them spend 31 percent less than their peers on finance, operate with nearly half the staff, and also complete their financial reporting cycle more quickly each month. Much of this blog is a rant against complexity, and if I look around here at SAP, I’d say fighting complexity is our biggest competitor. Sure we have much to learn about simplification, and we must get significantly better at reducing and managing complexity. But if there is one thing that I loathe more than unnecessary complexity it is the oversimplisitic. ERP is complex, so is the Belgian tax code. Many of those that damn SAP and Oracle for its complexity seem to suspend business reality when discussing the next great start up that will blow us away. I’ll restate my rumplestilkin test. Lock your new paradigm busting vendor in a room and only let them out when they have a compliant Polish payroll. So keep the comments about ERP salespeople and Porsches rolling. But where is the big stonking empirically solid research that shows me that ERP is dying or that it doesn’t work? As much as I hate to quote a competitor success story, herewith a small sprinkling of irony… Andrew’s Ducati wouldn’t be on the road today if it wasnt for enterprise software. I’ll finish this long opinion piece by quoting a bit more Andrew McAfee. I agree that it’s important not to naively accept anyone’s triumphant vision of corporate IT. But it’s also important not to make claims in the other direction that are too sweeping. Perhaps most fundamentally, it’s critical at some point to stop floating hypotheses about IT’s impact (or lack thereof), and to start testing them. We have enough history and enough data to permit more excellent studies like the one conducted by Aral, Brynjolffson, and Wu. Designing and executing resarch that is both rigorous and relevant is difficult, at times dismayingly so, but as these three show it’s well worth the effort. Author Thomas OtterPosted on August 24, 2007 Categories enterprise irregulars, Finance related, IT Related, SAP, software24 Comments on opinions and evidence. The Trouble With Enterprise Software.